Many of my customers struggle when it comes to certificates, and I mean just with the basics -- not the whole PKI stuff. Netscaler is Linux-based and that seems to make it even more difficult. Not to mention, people also tend to make things more complicated than they really are. In my opinion, to understand what you are doing should be a given (at least to some degree), but many out there just want step-by-step guides that they can work through. That is my explanation why many have issues when it comes to Netscaler and Certificates. A detailed explanation of the 'easy way' will look like it's not so easy in comparison to the step-by-step guide but once understood it will be even simpler to do. Who needs Citrix Netscaler HDX Proxy? 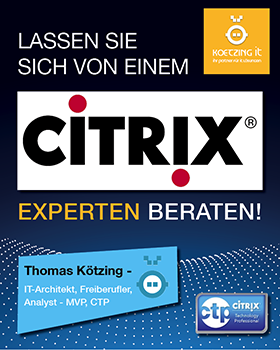 Last week I started a poll on Twitter about paying for Citrix Netscaler HDX Proxy, even Citrix announced at their own Synergy Event it's for FREE. I'm pretty sure the audience was cheering about that. Let's have a look at the result and what we can do with that.